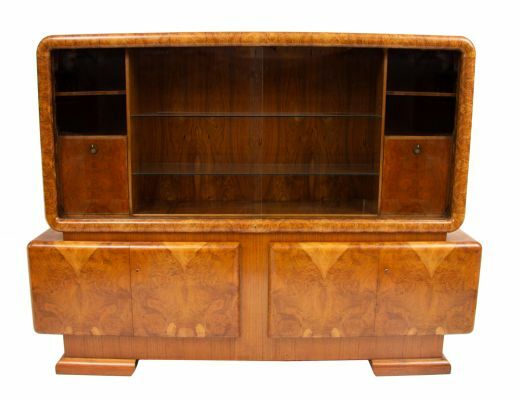 Impressive large Art deco wall unit, cabinet. 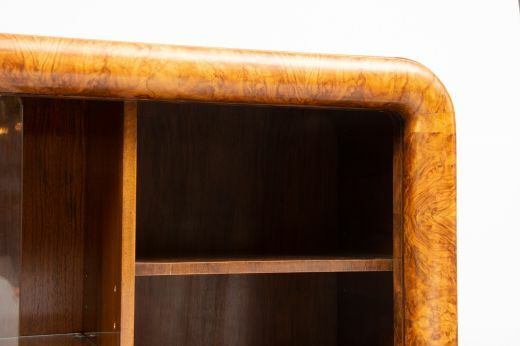 Art Deco Bookcase display cabinet in a beautiful figured Walnut. 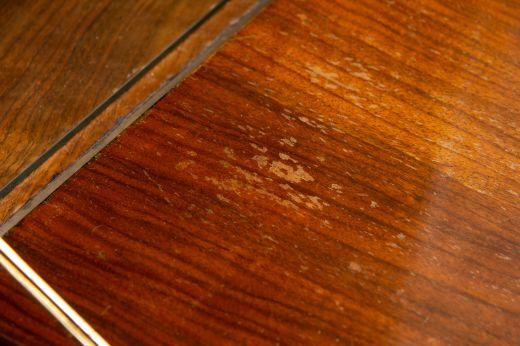 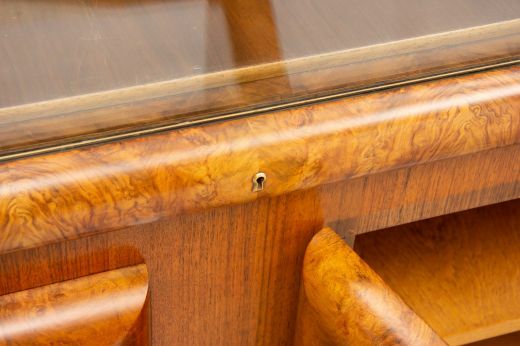 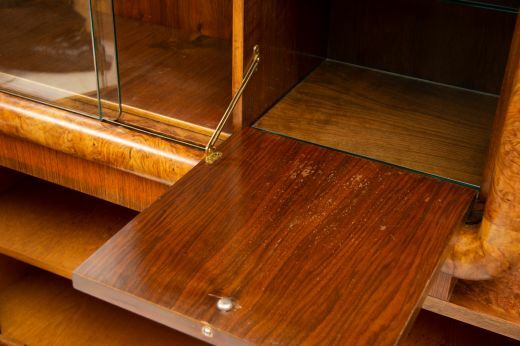 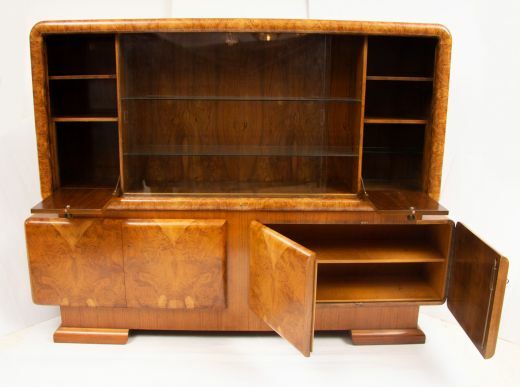 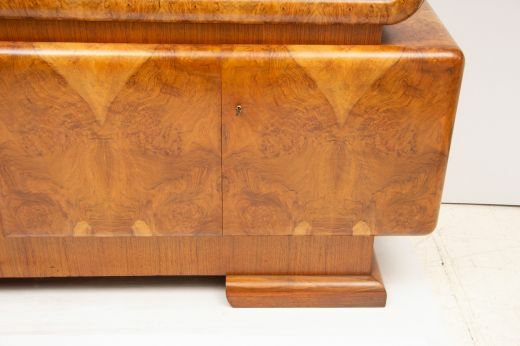 A very fine piece of Art deco furniture with stunning walnut veneers and curved edges. 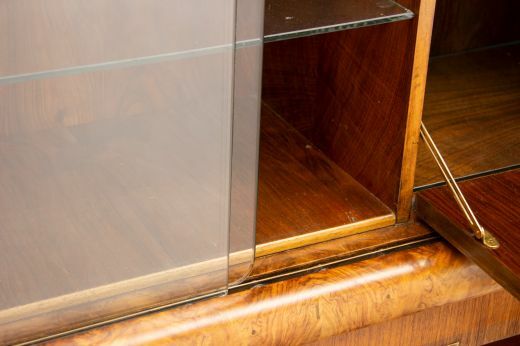 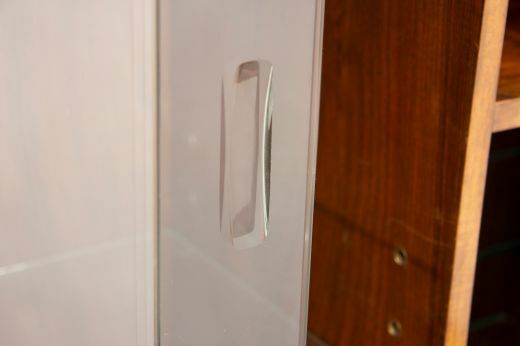 the upper section with large sliding glass doors and height adjustable glass shelving. 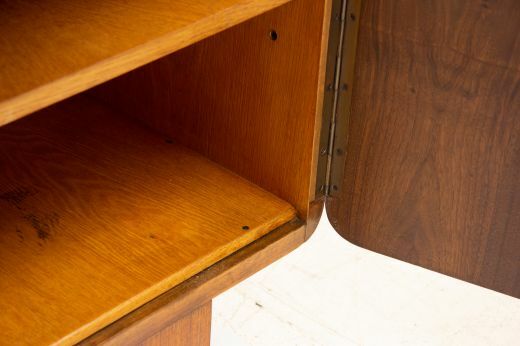 the lower section with twin door cupboards and height adjustable shelving, the doors with beautiful curved panels.